CTSP offers the most intense and disciplined NFL combine preparatory program in the Southeast. The number one goal is to prepare our athletes physically and mentally for what lies ahead of them. At CTSP, our combine athletes are more than just a number and that is why we only take 6-8 players for our program. We believe in the QUALITY of results over the QUANTITY of athletes in our combine program. Jalen Richard is currently a running back for the Oakland Raiders and was a member of the 2016 CTSP NFL Combine Class. Listen to what he says about why he chose CTSP. We come ready to work every single day. Want to know what it’s like to train at CTSP. Take a look at the video below to see our CTSP NFL Combine Class training highlights. We strive for 100% satisfaction from our clients so we limit the amount of participants to allow for a more personal experience while maximizing each and every hour we spend training. Optimizing our athletes’ mental toughness, confidence, and focus is equally important when preparing for the NFL Draft or Pro Day. At CTSP we encourage all of our athletes to gain a mental edge over their competition through developing a winner’s MINDSET. We also understand that there is a huge difference between being an athlete and being a complete football player. There will be a sincere focus on making sure our athletes are completely prepared Physically and Mentally for everything the NFL Combine or Pro Day throws their way. For the 6-8 weeks our players will be submerged into a training regimen that will prepare them not just for the scouts but for the rest of your life. You must have a certain mindset in order be the best and at CTSP we instill that into every single one of our athletes. We provide an intense and complete performance training program from the best staff in the region. We have experience training some of the best athletes to come out of our region, including players who have traveled from far and wide. Our football resume includes numerous current and former NFL and CFL athletes ranging from Eric Wood and Breno Giacomini and not to mention 2014 first round pick Marcus Smith! We never settle for second best. At CTSP, we’re training our athletes to be the greatest of all time. 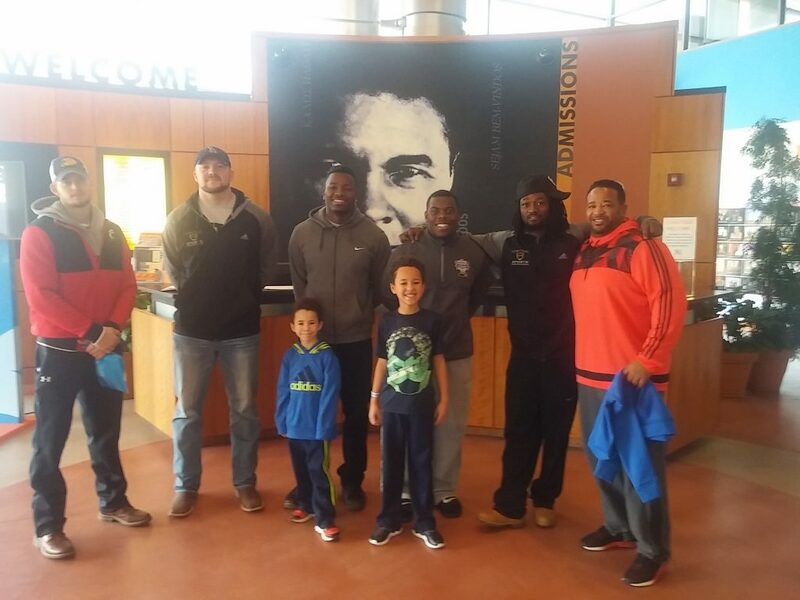 What better way to do that then a visit to the Muhammad Ali museum (pictured on right). We want to develop great athletes and great men. Seeing culture and learning from other great examples is a big part of our combine training program.